was born in 1924. I lived at 1331 West Farms Road at the corner ofBoone Avenue. My Grandfather and Grandmother lived in the same house. I went to Public School 66 on Jennings Street and Boone Avenue. In those days you went to the school in your neighborhood. West Farms Road, a cobblestone road, was the main route to go upstate. 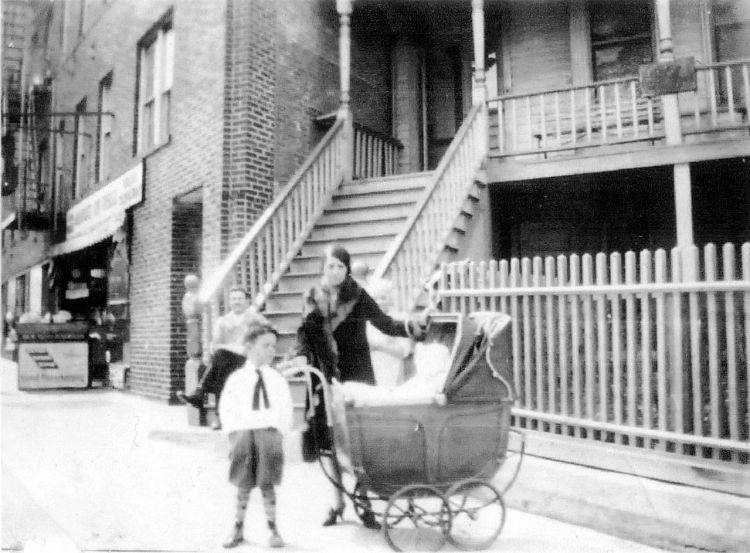 On Boone Avenue there was the Fox Square Laundry that delivered laundry by horse and wagon. Further down Boone Avenue at Westchester and Whitlock Avenues was the Metropolitan Pool. It was a great place to spend a day. The pool had a low, medium, and high diving boards plus a water slide. It cost forty cents and you got a locker also. Next to my house was a candy store. We used to wait for the phone to ring and then go get the person for the call. (In those days phones were few and far between.) The party would tip you a penny or two for calling them. There were two large apartment buildings on either side of the road (And they're still there today). The area was made up of Jewish, Italian, Irish, and German. On the street level with the apartment building was a Chinese Hand Laundry. On the other side there was a grocery store. On the north side of West Farms Road was a gas station that carried all brands of gasoline. At the bottom of the road was Steven's Coal Yard. In those days most houses were heated with coal. On the right side of the coal yard was Edgewater Road, with a row of private houses. After the houses was a garage, the back of the Laundry with all the Horses and Wagons, then a Junk Yard, then a Diner. Across from the Laundry there was a Live Chicken Market. During lunch hour the workers from the Laundry would play stickball on Boone Avenue. Going south on West Farms Road were Freeman Street and apartment houses all the way up to Southern Boulevard where West Farm Road ended. Going east on Southern Boulevard was the Loew's Boulevard Theater, where for a quarter you saw a double feature, cartoon and a vaudeville show. Further down the boulevard was the Loew's Spooner movie house and across the street the Star movie house where you saw three films, news and cartoons all for ten cents.